This is my take on the popular Ensalada de Noche Buena (Christmas Eve Salad) that is served in Mexico. 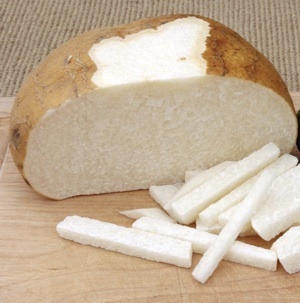 The jicama provides a nice crunchy texture to the salad, but if they are unavailable, use a crisp Granny Smith apple. For added color diced beets are sometimes added in the traditional salad. 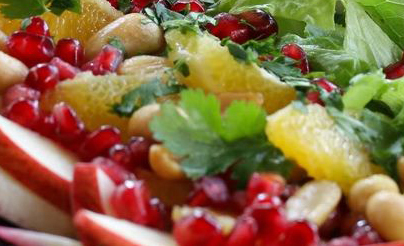 Pomegranates are in season this time of year, and the seeds add color as well as flavor to this holiday dish.